The fun part of looking for the best coffee in London is exploring new neighbourhoods. London now has a wide range of great independent cafes run by staff from all over the world and serving coffee in every imaginable style. I’ve chosen the ten best based on the style of coffee I drink (Flat White) and the style of cafe I like (chilled out Sunday afternoon magazine reading). Your top ten would probably be different, but every one of these cafes is world class and could stand up in Melbourne, Sydney, Auckland, Wellington, New York, Paris or Milan. They are all worth a visit. There are several great guide books for London cafes. My favorite is Independent Coffee London. The London Coffee Guide is the most comprehensive and authoritative guide, and Cafe Life London provides a more personal approach to finding the best coffee in London. 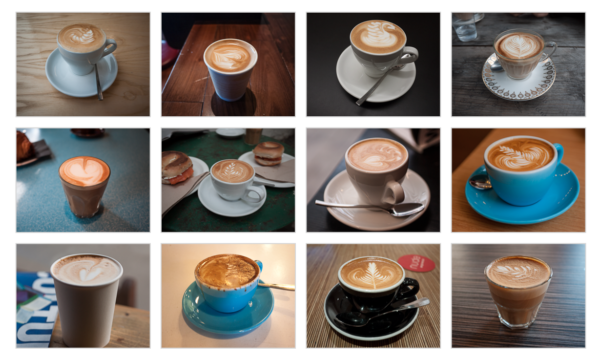 To me, the best way to explore the hidden cafes in London is using your iPhone or Android with FourSquare, London’s Best Coffee or the London Coffee Map. There are several great cafes (and cafe mini-chains) that I haven’t included here such as Monmouth, Sacred, Dose, Fix and Taylor Street Baristas. They are all excellent but if I had to pick only ten cafes to take a visitor from outside of London to, then the above list would be my pick.